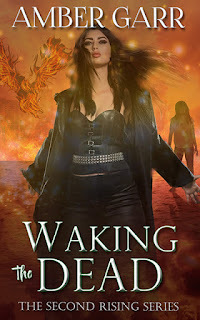 Welcome back to my last stop for Amber Garza's Prowl Trilogy tour with iLUVbooks. You can see my review of Prowl and Entice here. Click on the banner below to follow the rest of the tour. Summary from Goodreads: Mackenzie is looking forward to her eighteenth birthday and upcoming high school graduation. Until an unwelcome visitor from her past appears, threatening her future plans. Will she ever be free?Armed with a new weapon and the boy she loves by her side, Mackenzie prepares to fight. She doesn’t realize that she is about to step into the ultimate battle between good and evil, where the stakes are higher than ever before. I enjoyed the first two books in the series and have to say that the final installment didn't disappoint. I had to start reading it right away thanks to the cliffhanger at the end of Entice, and I couldn't put it down. Kenzie is forced to make some choices that dictate who will be a part of her life and how the next several years will go. It was nice to see all of the relationships evolve, and I felt that this was done organically. The dialogue was not forced, and I found myself drawn into loving, hating, and yelling at the characters. The Christian themes throughout the series were not too overdone, and will therefore appeal to a wider audience. I recommend checking out this series now! 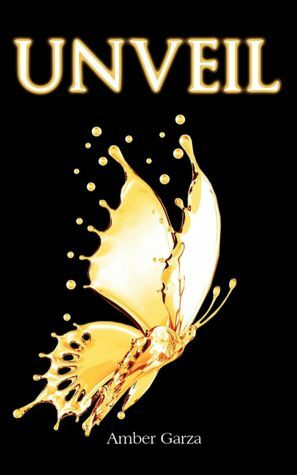 The Good: Unveil was another quick (great) read that I couldn't put down. Amber did a really nice job building the story (throughout the trilogy), the ultimate action sequence, and tying up loose ends. The Issue: Nothing really stood out for me in terms of plot, although I will state that I was a little disappointed with Kenzie's final choice for a boyfriend. But it certainly didn't take anything away from the story, and that shows you how wrapped up I was in the characters! The Rating: 4.5 conch. A really great finale in a series that's fast paced and enjoyable. Looking forward to seeing more from Amber Garza.